Simple tooltips plugin is a quick and easily tool to add tooltips to your text in posts and pages. 3. Select the text you want to add a tooltip to. 4. Click on the Insert Tooltip icon. 6. Click on OK to insert your Tooltip. 7. 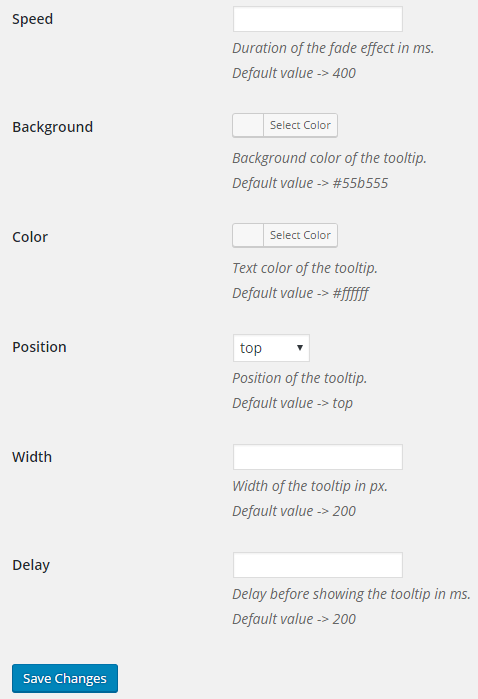 The Insert Tooltip window will close and the tooltip will be added to your visual editor using Tooltips shortcode as shown below. 8. 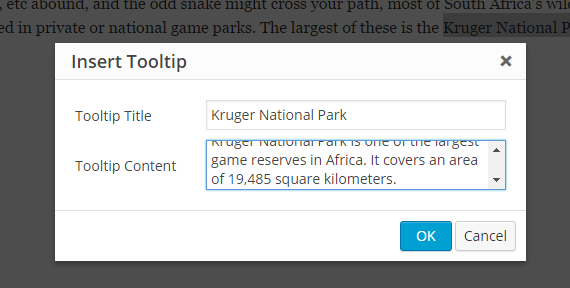 When you view your published post your tooltip will load when you hover your mouse over the text. 2. 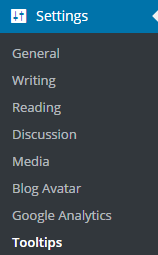 Make your desired changes then click Save Changes.